If you’ve been reading the news lately, you doubtless read about the find of a really big new helium gas field in Tanzania. It’s being touted as “life-saving” and “game-changing” in the popular media, but this is all spin. Helium is important for balloon animals, scientists, and MRI machines alike, but while it’s certainly true that helium prices have been rising steadily since 2000, this new field is unlikely to matter all that much in the grand scheme of things. 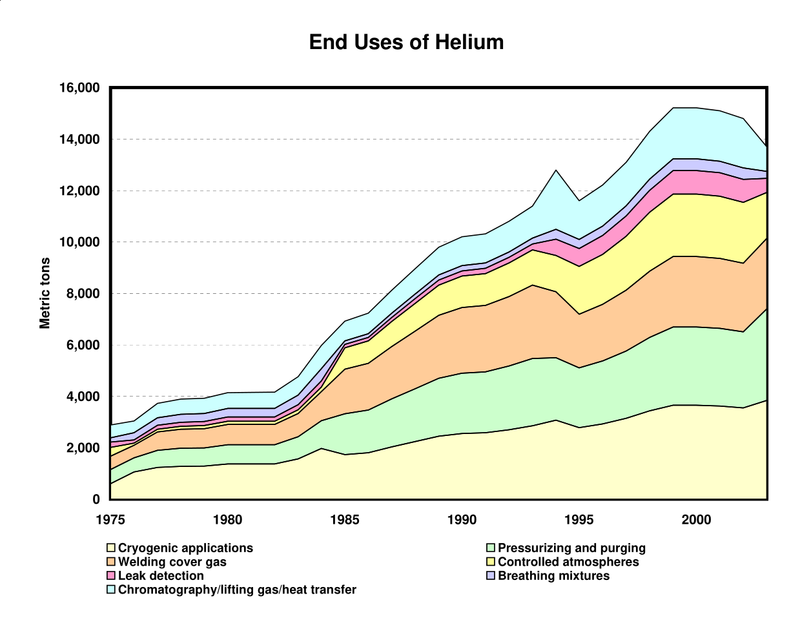 The foundation of every news story on helium is that we’re running out of the stuff. As with most doomsday scenarios, the end of the world’s supply of helium is overstated, and we don’t just mean in light of the new Tanzanian field. Helium is the second-most abundant element, making up 24% of the total mass of the universe. And while the earth has a disproportionate amount of heavier elements, helium is in rocks everywhere. It’s just a question of getting it out, and at what price that’s viable. So while we’re stoked that the era of (relatively) cheap helium can continue onwards for a few more years, we’re still pretty certain that the price is going to continue to rise, and our children’s children won’t be using the stuff for something so frivolous as blowing up party balloons — it’ll be used primarily, as it is now, where it’s more valuable: in science, medicine, and industry. Let’s take this moment to reflect on the economics of second-lightest element. Here’s to you, Helium! We found this awesome account of the discovery of helium in natural gas, so we’re going to tell a little story. Helium had been identified by its spectrum in sunlight in 1868, and formally discovered on earth, leaking out of uranium ore, in 1895. So scientists knew about helium gas at the turn of the century, but it was thought to be exceedingly rare. But it was still a relatively new element in 1903, when the small town of Dexter Kansas had hit a gusher of what they thought was natural gas. To celebrate their newfound riches, they were going to (naturally) light the thing on fire and revel in “a great pillar of flame from the burning well”. After the mayor’s speech, promising prosperity for all, they tossed a burning bale of hay onto the gas gusher. It went out. They lit up another bale, and it went out. Jokes about “wind gas” and “hot air” passed through the disappointed crowd who went home just as poor as they started out. As scientists do, Erasmus Haworth, a geology professor, said “that’s odd” and took a sample back to the University of Kansas and gave it to chemist David McFarland. Haworth and McFarland concluded that the gas was 15% methane, 72% nitrogen, and 12% something else. (It was the high nitrogen content that was putting out the fire.) After teaming up with another chemist, Hamilton Cady, and soaking the gas in coconut charcoal and liquid air at -310 F (you can’t make this stuff up! ), 10% of that “something else” would turn out to be helium. McFarland and Cady repeated the experiment at a number of other natural gas wells, and overnight what was thought to be a ridiculously rare new element turned out to be extremely common. But nobody really knew what to do with it. And then it was suggested that it could be used for lifting blimps. Ten years later, the US government would begin tapping natural gas fields in Texas for helium, and the price dropped from $2,500 per cubic foot down to three cents. Now you could afford to fill a blimp with helium instead of the flammable hydrogen. Helium would become a strategic gas in World War II and US helium production was managed by the government (and held in strategic reserves) until 1996. By the mid-1990s, helium was a pretty boring commodity, and not really of strategic importance anymore. It was an abundant byproduct of US natural gas production, and we filled our party balloons with the stuff. The government had been selling its helium at a fixed price, and the rest of the market just followed along with the biggest producer. But this wasn’t making the US government any money; planned to get out of the production game and sell off its existing stockpile. This got codified in the helium privatization act of 1996 (PDF, legal language). With the dominant producer leaving the helium business, it’s not a shock that world prices would rise. And at around the same time, US production of natural gas shifted to extraction from shale, which has no helium by-product. 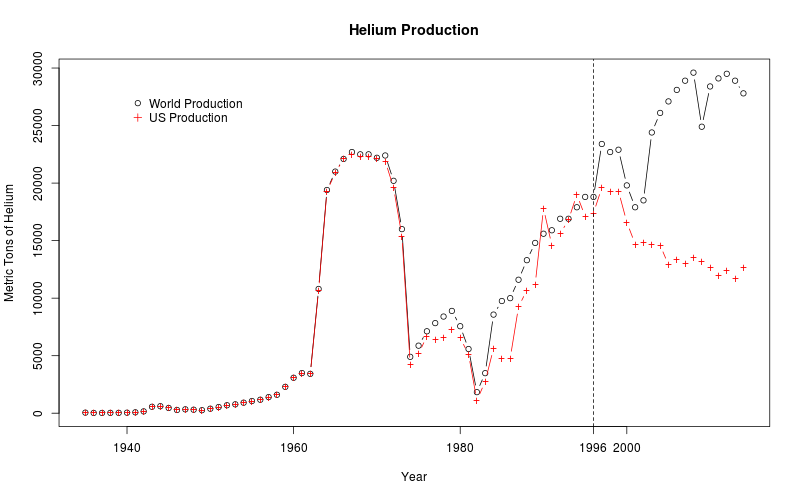 US helium production has been falling ever since, and global demand for helium has been steadily, if slowly, growing. You don’t need an economist to tell you that the prices of helium would go up under these circumstances. By 2013 helium cost nearly double what it cost in 2000. We read all over that the world was “running out of helium”. But that was crazy-talk. (Or at least anti-economic.) Instead of running out of helium, as the price rose, more-expensive methods of trapping and refining the gas became economically viable. Although few of the world’s gas fields are as rich as those in Kansas and Texas were, there is helium everywhere that natural gas is found. While US helium was so cheap, these other sources just blew their helium off because it wasn’t worth refining. With the price of helium a lot higher, other gas fields invested in helium-capture and refining. In particular, Qatar has picked up the slack, and there’s been very little slowdown in world production. So much for a “helium shortage”. On the demand side, universities and other institutions that used large quantities of helium started taking steps to recycle it, rather than just letting it vent off into the atmosphere. Anecdotally, a friend who ran a blimp-based architectural photography business found it finally worthwhile to buy expensive linings to help trap helium gas better, rather than simply refilling his blimp for every gig. As helium became more valuable, it became more valued. This, in turn, slows down the rate of consumption relative to what it would be if helium were cheaper. In short, the market adjusted. 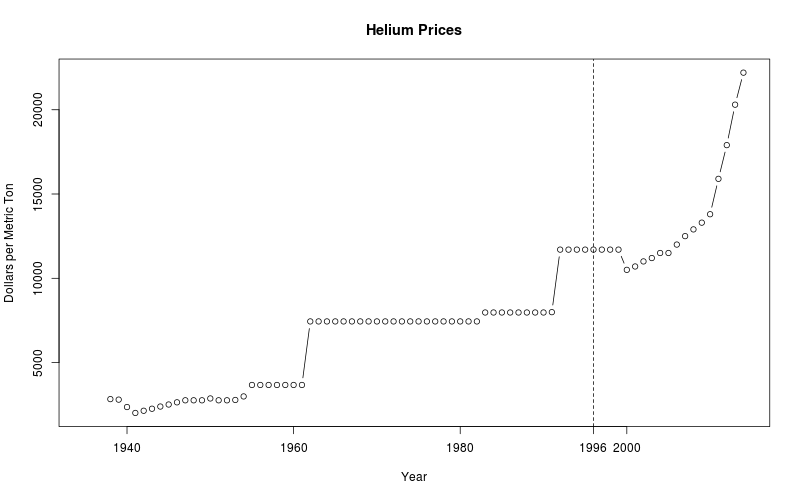 As the price rose, both producers and consumers of helium stopped being so wasteful. All of the above is just to put the current Tanzanian find in perspective. 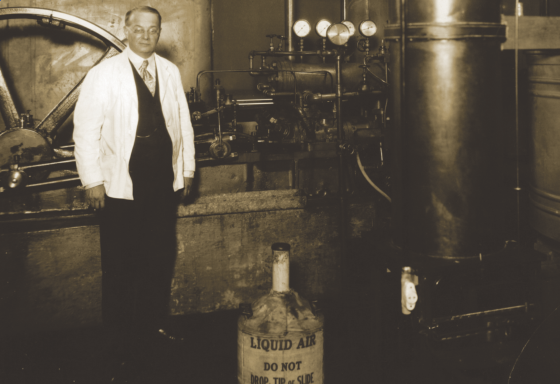 In the beginning, the US, the world’s cheapest producer of helium, had abundant supplies. As those turned off, the price of helium rose and it’s now become profitable to extract helium elsewhere. And it’s become profitable to go looking for new helium sources. Indeed, the joint-venture between the academics at Oxford and the helium-exploration company, Helium One, is made economically possible by exactly this price increase. Beforehand, it just wasn’t worth the time to go prospecting for helium. Now it is. And just as certainly, they and other companies will find more sites. Whether they make sense to exploit will depend on the world price. So rather than bite on the hype of a new helium field, even one that is large enough to supply the entire world’s helium demands for six years, we take the long view. Just after helium’s commercial discovery, it became insanely cheap. Only recently, as the world’s cheapest sources begin to run dry, has the price risen. And we don’t see any reason that it won’t continue to do so unless a truly gigantic, inexpensive field of helium is discovered. If the price continues to rise, formerly unaffordable production methods will become affordable. We’re not running out of helium, it’s just getting more expensive to produce. And if we were to wager on the future of floating party balloons, we’d bet on helium-retaining mylar balloons in favor of the relatively permeable rubber variety. Even for helium’s most frivolous use, it’s not going to be wasted. We don’t drive gas-guzzlers to the grocery store any more, either. ← What’s Special about Fifty Ohms? 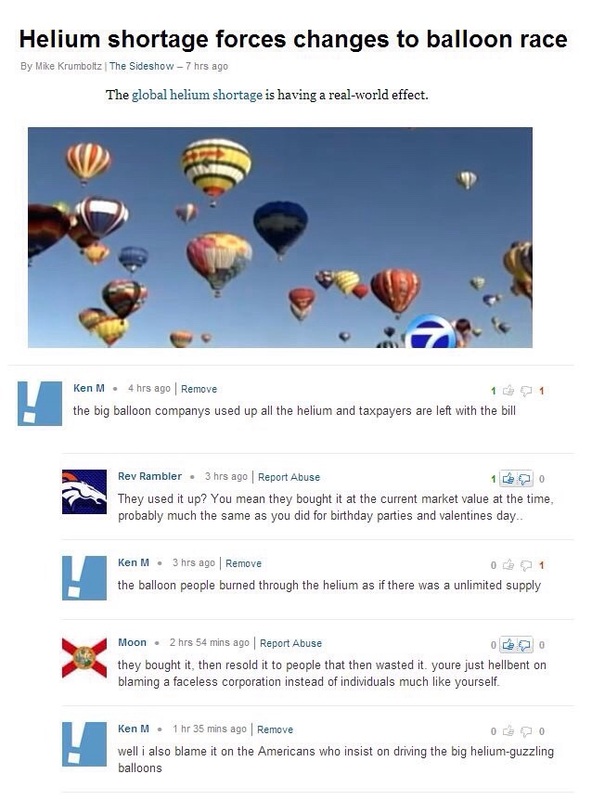 Ah, Ken M. One of the best internet trolls ever. There are web pages devoted to his ability to draw in fools. For some reason, imgur never renders in the comments. I think the site watches for “hotlinking” and blocks the incoming requests automatically. Is there a cheat-sheet somewhere to override the changes? It took a few years and half the internet hotlinking but imgur now checks the referrer. Last I knew it was`specific high bandwidth sites blacklisted. Some browsers have the option, and some have plugins, that will disable the referrer and then imgur works everywhere. If you delete the browser’s cache it will dissappear from this page. I don’t really understand why that happens. We have to add ‘www.’ onto it after WP f**ks up the links. What caused the spike in helium production between 65-72? I would love to know! At that time prices and quantities were all controlled by policy in the US. So it’s gotta be a government rationale. The Helium Acts by Congress in ’60 encouraged new private miners to start. I’m sure it’s the result of the money being pumped in for that. Government policy to start stockpiling the stuff. Space race? They were getting H2 from natural gas and so they separated out the He at the same time? Having lived through the “We’re running out of oil” meme only to find we are now awash in it, I am hardly surprised. However the helium story that tickles me most is the idea that we may one day mine the Moon’s surface for He-3 for use in aneutronic fusion reactors if only because ‘The Helium Mines of Luna’ has a Golden Age Science Fiction ring about it that makes me smile. The main character in the excellent movie from 2009 simply titled “Moon” works at an automated facility (single human for maintenance) doing just that, mining He-3. If anyone wants to watch it DON’T spoil it by reading the Wiki or TvTropes pages for it. I watched this movie with zero prior knowledge of it or its plot and I was blown away.I really don’t regret going in without information and I enjoyed it even more because of this. I recommend science fiction and space movie fan to watch it the same way I did, it was really awesome and I thoroughly enjoyed it. He-3 is a rare isotope useful for fusion reactors. +1 good call. For nerd points try to spot the copy of “Take Off” magazine in that movie. We are still running out of oil. Energy efficiency has improved and alternative energy sources such as shale gas are being substituted. That said, what of helium when we have to stop using natural gas, because it produces a greenhouse gas? Who is the “we” you speak of? The world. Peak oil etc. Production dropping because extraction is getting more expensive and new sources are no longer profitable. Of course we are never -actually- running out of oil because there’s going to be some pocket left somewhere that you could dig out for a trillion dollars, but we’re practically running out of oil because the price per barrel is climbing up in the long term and people will have to figure out an oil substitute for plastics and gasoline/diesel. Right now the price per barrel is down for two reason: US unconventional shale oil production is up, and middle east is overproducing relative to demand. There’s also some international shenanigans going on with keeping the oil price down to kick Russia in the shin. I think you’ve got it a bit mixed up there. The ‘international shenanigans’ you speak of is OPEC’s over production. Which isn’t to kick Russia in the shins its to decimate the US shale oil industry. In the last year a huge part of the US oil workforce has been let go. If OPEC plays their cards right they’ll decimate not only the current generation of oil workers, but the next one as well. If there is no long term hope of a job in oil you’ll end up with a shortage of the people who can do the job. Combine that with the lack of experience for the lower end of the scale of current workers, and the eventual retirement of the ‘old guys’ who know it all, and in 5 years US oil will be set back 10. What peak oil? Oil production hasn’t peaked. It even turned out that US production didn’t peak in the 1970s. It’s funny to call it “unconventional shale oil” production at this point considering it’s probably going to provide the majority of the oil production total in US history. Now yes, obviously, at some point we *will* begin running out of oil, but to be honest, it’s a lot like the helium situation: once it became profitable enough for shale oil production, they started doing it, and once the barrier to entry was broken, it became cheaper. So in the long run, obviously, oil prices will go up, but it’s going to be a lot of up and down bouncing as the world taps those sources. What no one here seems to get is that we’re using an insane amount of it, given our tiny places in history. If we’re lucky there will be hundreds of generations and generations that come after us. What gives us the right to make our lives so much easier by using all of our oil and helium and leaving none for future generations? It’s completely immoral to just say screw them I got mine. Oil we may have some chance of replacing, but we’re not going to be making large quantities helium anytime soon. Once the helium is gone it’s gone. It is my impression that back when I was using the stuff, there was concern about cost when helium-rich natural gas producers were blowing it off due to the cost of capturing and storing/transporting. At the same time helium producing machines – basically air liquefiers efficient enough to make it affordable to extract helium from the atmosphere, at least for larger institutions. Still, one would think that working with a gas that is already 10% helium is worthwhile. Distilling just helium out of air is horrendously expensive, because the average concentration is about 5.2 ppm…it looks even more stupid when you look at the concentration in natural gas. And it may not increase much because helium has escape velocity from thermal motion, so it just diffuses (umm, effuses?) off through the air into space. I’ve not heard much about the ‘He-4 shortage’, but shortage of He-3 has been a problem for years now. It’s used in portal detectors for plutonium. Completely different shortage though, result of no one wanting tritium stocks for nuclear weapons (tritium decays into He-3). Eh… just use hydrogen for the kids balloons… what’s the worst that can happen, a more lively party? Yes. I know that’s not H.
When hydrogen goes, it goes fast. It doesn’t like to keep a small flame because it diffuses and mixes so rapidly in air that if you open the valve a little, it just goes pop. If you open it a little more, it goes POP. That’s why it’s difficult to use in burners, because the flame tends to extinguish and the gas starts to spread around. Fortunately the energy density is so low that a balloon full of hydrogen doesn’t do much more than a loud noise. Still wouldn’t want more than one or two, because if you have the ceiling full of hydrogen party balloons and one of them goes, it’s gonna blow out the windows. …and yet for most (not all, but definitely most) prcatical purposes “we’re running out of the stuff” or “the price of the stuff is climbing up vertical walls” is the exact same thing. That future generations will still be able to fill a party balloon with it any time, provided they’re willing to sell one of their kidneys doesn’t sound like much cause for celebration. (From the chart) A doubling of the price in 16 years isn’t climbing the vertical walls. It’s a 4.5% annual rate of increase. You could have beaten that rate of return by investing in any of a great deal financial instruments. It’s still an exponential growth. The difference between two exponential curves is exponential, so if the economy in general does not keep up with the 4.5% price hike over time – say the economy grows at 3% and helium grows at 4.5%, the relative cost/price of helium will eventually take off like a rocket. With that 3% – 4.5% difference, you hit a knee point at about 75 years into the future, which is when the price of helium stops increasing approximately linearily, and starts going up the wall. Comparing the cost of a single commodity to the growth rate of an entire country’s GDP. You’re not an investor, are you? I don’t know, I don’t necessarily jump on the bandwagon of we have enough yet. I was taught in college we had a shortage, of course it was referring to h3 for scientific equipment. We make almost a tenth of what we need in America. Why is Helium a component in many natural gas reservoirs? That doesn’t make sense if they are a product of squashed dinosaurs. It comes from the natural decay of radioactive materials in the crust. The pockets that hold natural gas also hold helium. Because they aren’t squashed dinos. Fossil fuels come from dead algae or forests. The helium comes from the uranium rich shales & siltstones that buried the algae and forests. The same feature that traps the natural gas also traps the helium, and for the same reason. Or comets or ….. in the case where it is all so old that there is 20% helium. At least some think so. Hmm. Uranium rich silt-stones and the rate of evolution where organisms are protected by water. Either a paper to publish or a sci-fi story. Unstable uranium isotopes aren’t all that dangerous as long as you don’t inhale them or build your basement into uranium rich deposits. Alpha particles get stopped by your skin, a few feet of air, and for certain energies a few microns of water. Alpha decay emits alpha particles a.k.a. He nuclei. I have read that most of the helium sold for party balloons is recycled from MRI machines and other uses, so it seems likely that helium party balloons will be with us for a while. And, for what it’s worth, ‘Balloon’ helium isn’t pure helium but a mixture. Pure helium in a latex balloon barely lasts overnight. I’ve tried swiping some lab grade He in balloons for my girl friend’s birthday and they were quite flaccid the next morning… The extra gasses causes the helium to leak out of the balloon slower by slowing it down/giving something for the He to bump into before finding the holes in latex. Summary: “barely last overnight”, “I’ve tried swiping”, “quite flaccid the next morning…”, “extra gasses”, “bump into”, “finding the holes”. Almost all new MRI machines come with a helium recycling system that allows the machine to be filled with helium upon installation, and last the life of the device. This causes noise in the images produced, but movement of the person being scanned is much more significant than this noise. The real concern has always been about NMR machines and other devices in the sciences. MRI’s are NMR’s. Research institutions that use liquid He much have recycling. There is plumbing all over for recovery back to liquification. Gas chromatography uses way more as helium is frequently the carrier gas for the column. A few 0.02-1.0 L/min a minute, each sample takes 5-30 minutes to run. It’s not hard to blast through a tank of high purity gas. Luckily both are moving towards nitrogen, argon & other mixes when they can. couldnt a big cern sized fusion reactor be built to convert hydrogen into helium? They’re up to 2,200 test firings so far, and now going for a service break to install protective tiles to run the plasma for longer periods of time. So far the containment properties have exceeded expectations and if the tests with the tiles go the same way they can swap in water cooled tiles and run the plasma for up to 30 minutes at a time. Then it’s just a matter of putting in tritium and lighting the thing up – although the 7-X won’t be able to handle the heat load because it’s got no steam boiler built in. The retrofit should be completed by summer of 2017, whereas ITER is just starting experiments around 2020. They’re leapfrogging right ahead with a much more clever, much cheaper design. Interesting. Yeah everyone knows that ITER is a failure and will probably never work. I’m surprised no one has mentioned that all of the helium we have ever extracted from the ground is still in the atmosphere somewhere. Probably near the top. But if it *really* came to it, it could be fetched from up there and purified by liquifying it and then performing fractional distillation. That sounds expensive, sure, but it surely represents the upper bound to the price of helium. will our planet come to look like Venus? IF the atmosphere trickles away, then the earth could become like mars (very thin atmosphere of <0,01bar_abs). Venus has a really dense, hot atmosphere, AFAIK in the range of 100bar. Hence the reason it’s called “helium,” because it was first found in the Sun, where it’s ridiculously more common than on Earth. This nugget of logic should have been mentionned way, way sooner. Has anyone here created their own “Liquid Air Machine”? Try searching for the keyword, cryocooler. Ben Krasnow made one. He was more interested in the nitrogen though. You may not even capture the helium as the temperature needs to be very low. It is more typical to do it with a multistage device that wastes liquid nitrogen or other gases to precool the air components that did not liquefy the first time so that they are cold enough in a second or third stage of a cooling set up. Read up on the history of how they determined what all the gases in air were, it is amazing to read about the lengths they went to back then, and the huge risks they took. It is quite an interesting read. Liquid helium by itself is quite interesting. The device is called a Collins-Claude cycle multiple-expansion gas (helium) liquefier. I read that the “shortage” was caused by the US government selling off its strategic helium reserve (for all the blimps the Navy and Air Force haven’t had for over 60 years) at rock bottom price. That depressed the market so gas producers quit recovering the helium, just vented it off. Oops. Now there’s a “shortage” because just about the only source for ‘new’ helium is the strategic reserve. Price jumps to new heights, spurring producers to get back into the helium game, and to seriously look for more commercially viable sources outside the USA. But of course the price isn’t going to go back to the levels is was before the US government sold its reserve. Oh, no. Can’t have that! Same as with crude oil, the price is being kept up artificially despite there being more oil pumped out of the ground than ever before. From what I have been able to find out on the internet, it appears that Alvin and the Chipmunk mafia are working on cornering the market. For the record, balloon-animals don’t have any need for helium since you’d need to fill the entire balloon with helium to get lift (and when filled, there’s no room for folds or twists to make it into anything other than a snake). But yes, *party* balloons do love their helium. Maybe YOU don’t, but look around the grocery store parking lot. So Blood Helium now ?